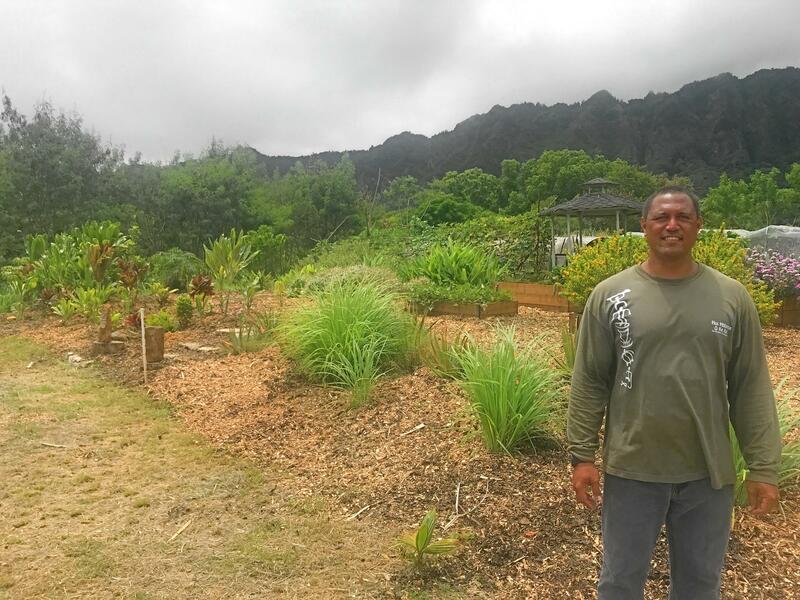 Ikaika Rogerson poses in front of the community herbal medicine garden in Waimanalo. 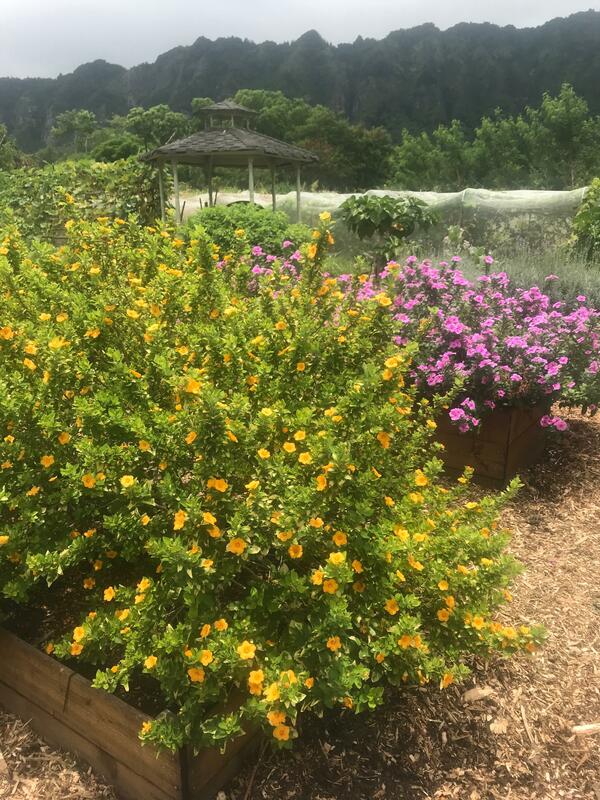 Community medicine gardens may be just what the doctor ordered. 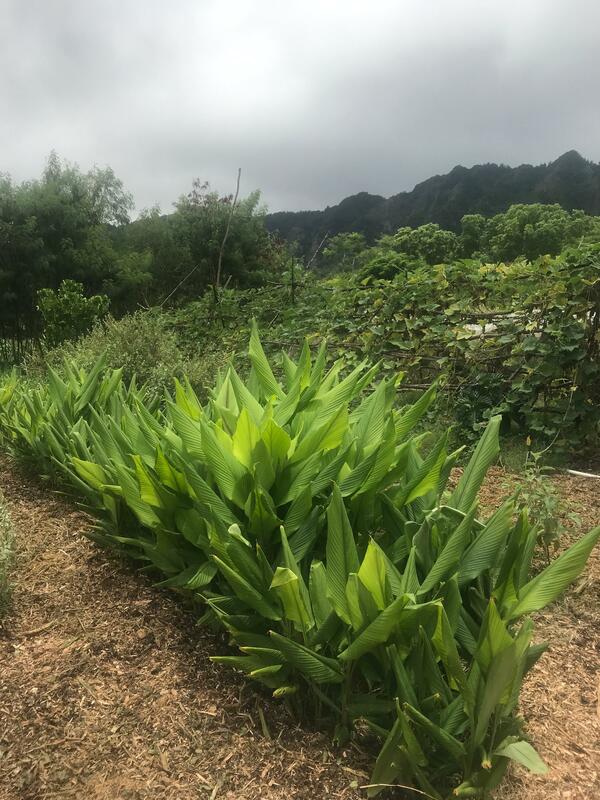 Growing interest in traditional Hawaiian medicine in Waimānalo has blossomed into a community garden. HPR Reporter Kuʻuwehi Hiraishi takes us on a tour. Ikaika Rogerson guides me along the mulch-covered floor of the Hawaiian medicinal garden he tends in Waimānalo. The female laukahi can commonly be spotted in cracks in the driveway or along the sidewalks of Hawai'i's neighborhoods. Laukahi can be used for all skin ailments, such as cuts, abrasions, bites, rashes, and burns. As a poultice, it is used to prevent infections. 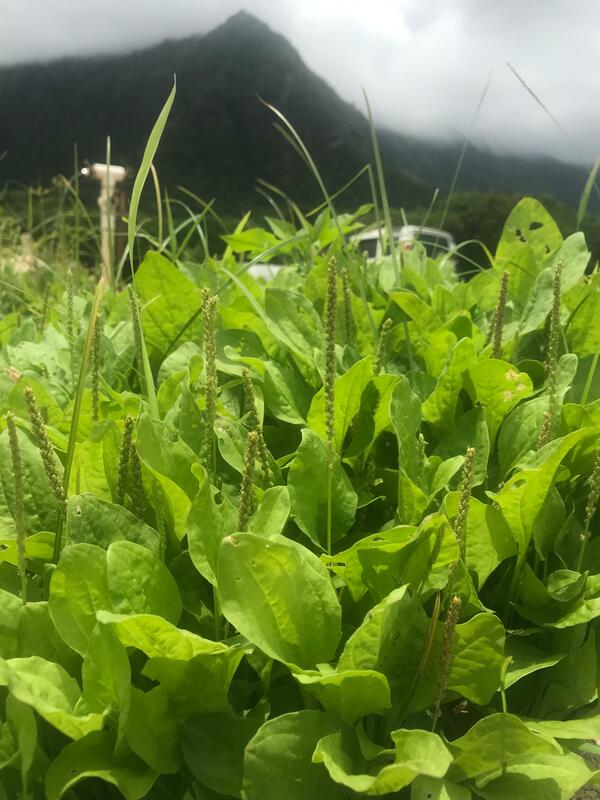 “I would say my garden is full of weeds because everything we have here is all lāʻau (plants) but its what everybody else digs out of their garden,” says Rogerson. Lāʻau lapaʻau is the traditional Hawaiian practice of healing using plants. Practitioners list an arsenal of more than 2,500 plants used for various human ailments. ...an alternative to purchasing pills. 'Olena or turmeric, one of the most versatile plants in traditional Hawaiian herbal medicine can be used for a number of ailments. Juice is extracted from the root and can be used to enhance the immune system and purify the blood. Some plants in the garden were recognizable. Like the sunburn-soothing aloe, the ever versatile ti-leaf, and the bright yellow ‘īlima. “ʻĪlima is a female plant. Itʻs good for any female reproductive issues so you just take all of the buds and you make a tea out of it and the females have to drink it,” says Rogerson. There’s also ‘awa, noni, and everyone’s favorite - ‘ōlena or turmeric. While it may take some time to identify a plant’s medicinal properties, Rogerson says plants give clues. Take pohe kula for example – this dainty green vine related to carrots and parsley. Pohe kula is shaped like a brain and is known as the "memory plant" to be used to help strengthen the brain. He admits some of these garden remedies aren’t as pleasing to the palate. Like kīhāpai or the Madagascar periwinkle – a small shrub with purple or white flowers often used in landscaping. Kihapai is commonly used in landscaping around downtown Honolulu. The plant is used medicinally as a cleanse for the liver and blood. Leināʻala Bright is a cultural health specialist at the Waimānalo Health Center. She studied lāʻau lapaʻau under Kauaʻi kahuna Levon Ohai. She says she’s heard concerns about proper dosing, diagnosis and interactions with western medicine when it comes to lāʻau lapaʻau. “So we do have to be very careful, but at the same time I really believe our medicine is our food and our food is our medicine,” says Bright.